Adolescent Brains: What are the neurobiological mechanisms that sculpt the adolescent brain? Adolescence is a period of development where complex cognitive abilities like working-memory and inhibitory control mature, becoming more consistent and reliable. These improvements in cognition are occurring at the same time that brain structures that support these cognitive functions are undergoing continued developmental plasticity. 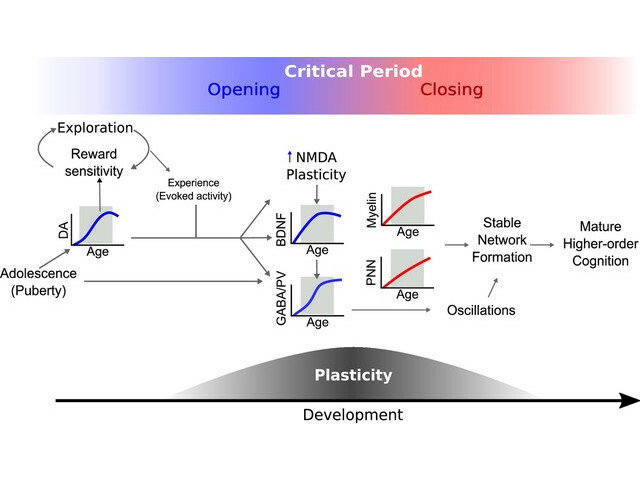 Though this pattern of development has been well-described, the neurobiological mechanisms that drive adolescent developmental plasticity remain to be explained. 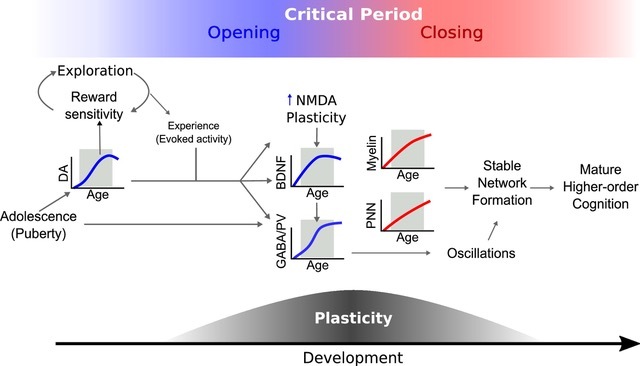 In a recent review in Neuroscience and Behavioral Reviews, “Adolescence as a neurobiological critical period for the development of higher-order cognition,” Bart Larsen (now a post-doc at the University of Pennsylvania) and Bea Luna (Pitt Psychiatry and CNBC) argue that the nature of these developmental changes can be understood as a critical period—a specific time window during which experience and neurobiological factors interact to shape normative brain development and profoundly alter behavior. Larsen and Luna also highlight the role of dopamine as a potential trigger for the opening of adolescent critical period window. Understanding adolescence as a critical period not only provides a mechanism for healthy adolescent development, it provides a framework for understanding the role of experience and neurobiology in the emergence of psychopathology (such as schizophrenia, mood disorders, and anxiety disorders) that occurs during this developmental period.